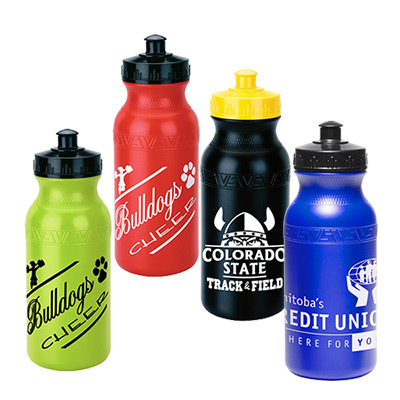 Athletes will be enticed by this custom imprinted sporty poly clean bottle with push pull lid. Product Size: 3-1/8" x 9-1/2"
The Personalized 27 oz. 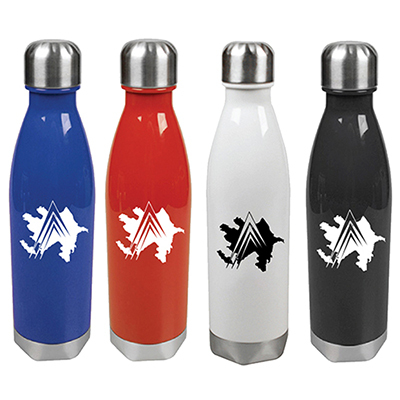 Poly-Clean(TM) Bottle is the ideal Promotional 28 oz. Poly-Clean(TM) Bottle which makes traveling much easier. The Promotional 27 oz. 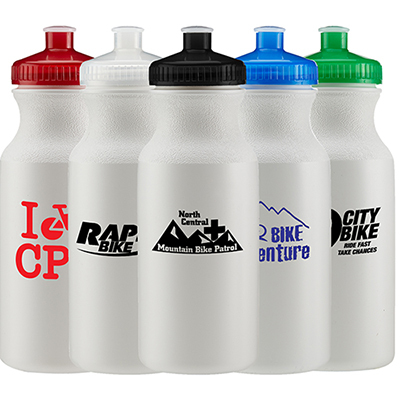 Poly-Clean(TM) Bottles are great for offices, homes, treks, biking trips etc. 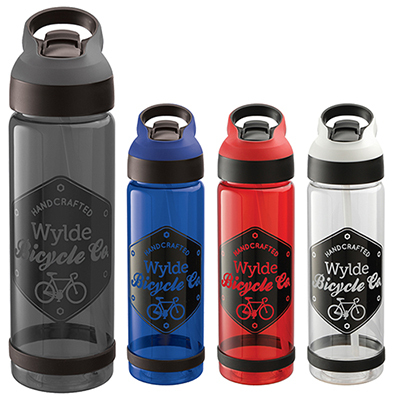 These durable bottles have screw on cap, push pull lid and a large mouth bottle to accommodate ice. Order now! 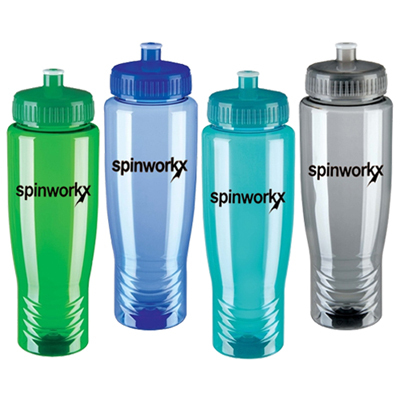 "My gym members loved these bottles and many still use them. This is a great option for any fitness oriented business." "Quality bottle giveaways for my club. " This squeezable sport bottle is great for the gym!